Oh the humanity! Cards Against Humanity has gone digital. A new website called CardsAgainstOriginality.com offers a free version of the game on all web browsers on computers and mobile devices, though it wasn't made by the card game's original creators. The Cards Against Originality app was created by Canadian designer Dawson Whitfield, who used the card game’s Creative Commons license to make a digital version. Previously, users needed to either purchase the game for $25 from the Cards Against Humanity Website, or download and print their own deck for free (plus the cost of ink and paper). Fans can also purchase desired expansion packs on the game's website, and those cards are also featured in the new app. "I built it because there were too many times that I wished I had brought my CAH deck. During lunch at work, at the bar, in the car," Whitfield said in an email. 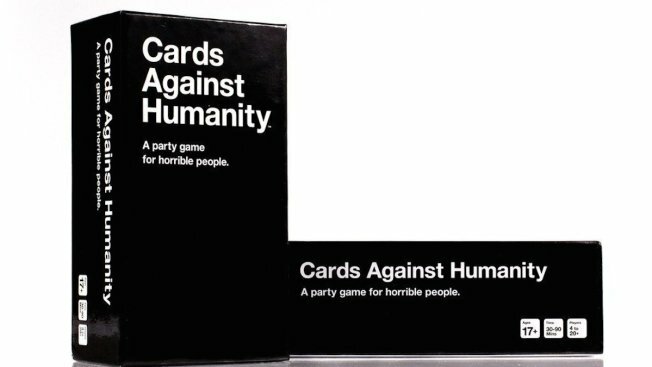 "Once I had the idea to build it, I had to build it out of frustration that no one had done it,"
According to Cards Against Humanity's website, the game's content can be used "to make whatever," but the game needs to be given credit and the user can't profit from using its content. “Cards Against Humanity is available under a Creative Commons BY-NC-SA 2.0 license. That means you can use, remix, and share the game for free, but you can’t sell it without our permission. Please do not steal our name or we will smash you,” the game’s website reads. Like with the physical deck, you must be in the same room as your friends to play together on the digital version. Whitfield said the response to his app was better than he expected — the rush to play even created some problems for the new product. "I didn't expect it to take off like this and my servers couldn't handle the traffic," he told NBCChicago in an email. "I had it on a measly server for my friends and I to play on, which crumbled under the traffic." Whitefield said he has since moved the game to new servers and the site is back up and running, though it may take time for the change to appear "everywhere around the world." Now, with a new name and the same vulgar cards, the (horribly inappropriate) party can begin online.